Less than 10 months since Microsoft brought their KIN phones to the world, one integral part of their ecosystem is finally closing its doors for good – ending possibly a silent chapter in mobile history. 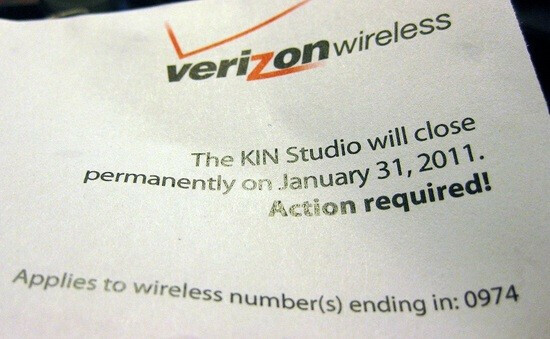 As we reported last month, Verizon sent out letters to KIN owners letting them know that they plan on shuttering the KIN studio come January 31st. 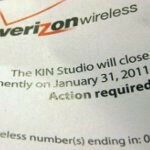 Making good on their promise, it seems that the KIN Studio is no longer active online. Just as a refresher, the KIN Studio was an online management system for owners which enabled them to view content; like text messages, photos, and videos. Now that it's completely powered off, existing KIN owners will find their handsets less inviting since it played a major role in the entire KIN ecosystem. Granted that it's a dark day for these once inviting owners, they can sleep at night knowing that they are entitled to a free phone from Big Red. Can't be all that bad, right? if the kin two was an android phone it would've killed on the market, because it has some pretty good specs. Too bad for those who invested in the Kin phones.